Automotive behemoth Toyota has just pumped in US$1 billion into South-East Asian e-hailing giant Grab, in what is touted as the biggest ever investment by a car manufacturer. 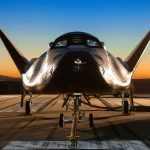 This new funding values Grab at just over US$10 billion, according to a person familiar with the company. “I am delighted that we are strengthening our collaboration, which utilises Toyota’s connected technologies,” Toyota Executive Vice President, Shigeki Tomoyama, said in a statement. Automakers are scrambling to invest and work deals with emerging disruptive technologies. General Motors has teamed up with Lyft, investing US$500 million while Volkswagen pumped US$300 million into Gett. This huge investment from Toyota is not new to Grab as the two companies already had a relationship: Toyota’s trading arm invested an undisclosed amount in Grab last year. 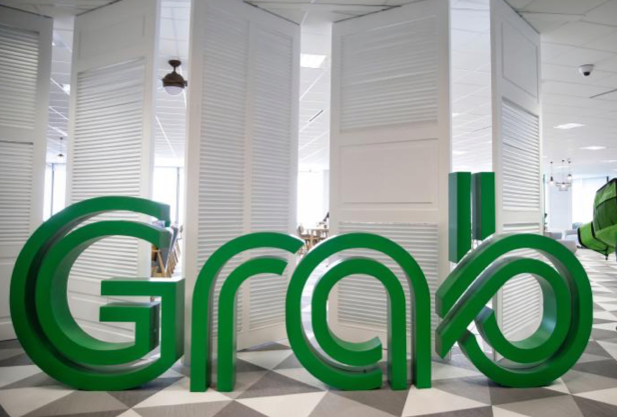 Honda and Hyundai have also invested in Grab prior to Toyota’s record funding. This enormous kitty will be used in part to fund its ongoing expansion as well as side-brands, such as GrabFood and GrabPay. 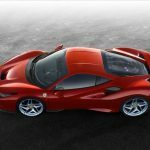 The deal also includes the development of connected cars and collaboration on technology. 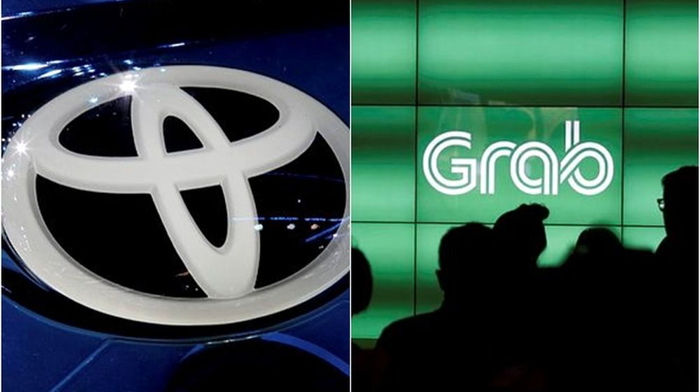 As part of the agreement, one of Toyota’s company’s executives will join Grab’s board of directors and a Toyota employee will be seconded to the startup full-time as an executive officer. In March this year, Grab ‘merged’ with Uber, which saw the US company take a 27.5% stake and its CEO Dara Khosrowshahi take a seat as one of the board directors of Grab. Toyota’s new agreement gives the automaker the opportunity to work with Grab on initiatives such as its Mobile Service Platform, including user-based insurance tools, financing programmes and predictive maintenance for vehicles. 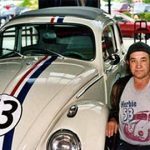 It is no longer enough to design, manufacture and sell cars. The meteoric growth of the global ride-hailing industry and the rising interest in self-driving vehicles pose serious challenges for automakers. 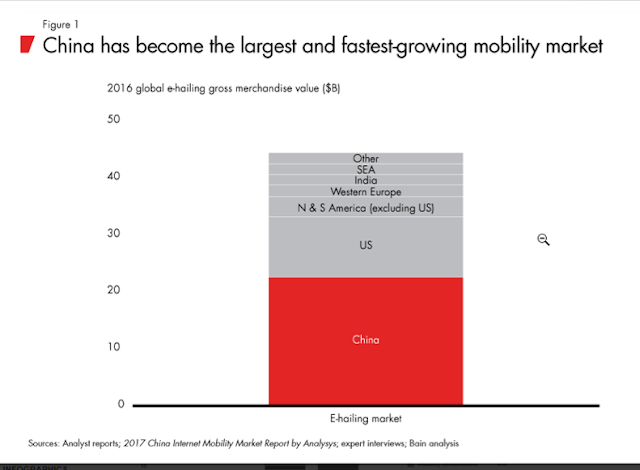 China, one of Toyota’s biggest market, has an e-hailing market worth US$23 billion. It is more than the rest of the world combined, according to a report by consulting firm Bain & Company (see Figure 1). Car companies need to partner and invest in ride-hailing startups and other service providers “to capture their share of the growing profit pool [and] to compensate for slower growth in car sales,” said the report, which focused on China, the world’s biggest auto market. 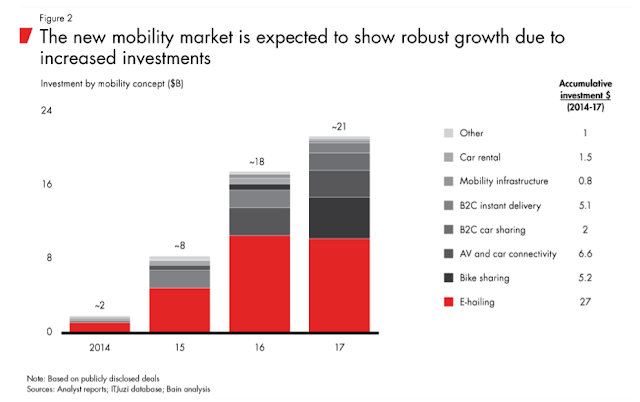 The mobility market is expected to maintain its robust growth, fueled by US$50 billion in investments from 2014 to 2017 (see Figure 2).